Sexual Abuse in Residential Treatment provides comprehensive information on behavioral manifestations of sexual abuse in residential settings and the safety and developmental needs, staff training, and management strategies necessary to protect both residents and staff. Chapters containing vivid case studies that describe problematic episodes, discussions of research projects, and proposals for agency sexuality policies, safe facility management, and staff training contribute to a balanced presentation of the framework in which sexual manifestations are embedded. Professionals in residential treatment will learn how to identify the most common sexual, sexualized, and sexually abusive behaviors and from whence they derive. Sexual Abuse in Residential Treatment provides specific suggestions for policy and program design, recommends operational framework for safe management of treatment facilities, and describes practical staff supervision and training modules. With an emphasis on clinical practice, descriptions of common problems and proposed solutions together with a broad philosophical basis to guide policy setting will benefit professionals in agencies interested in developing customized organizational and treatment plans. 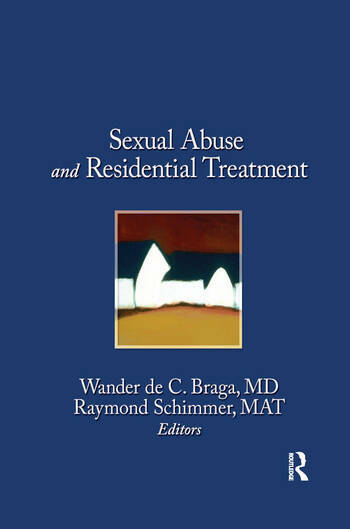 Sexual Abuse in Residential Treatment provides descriptive commentary concerning sexual behavior of youth in residential treatment from various points of view including development, values, therapeutic milieu, safety, training, and clinical experience. Such a diverse approach makes this a valuable guide for practitioners, as well as program directors, unit supervisors, case managers, staff trainers, faculty in child care studies, and child protective services staff.